It is officially my favorite time of the year! I love everything about the holiday season: overeating, snuggling on the couch, baking up a storm and giving presents…which all happen to be some of my favorite things. 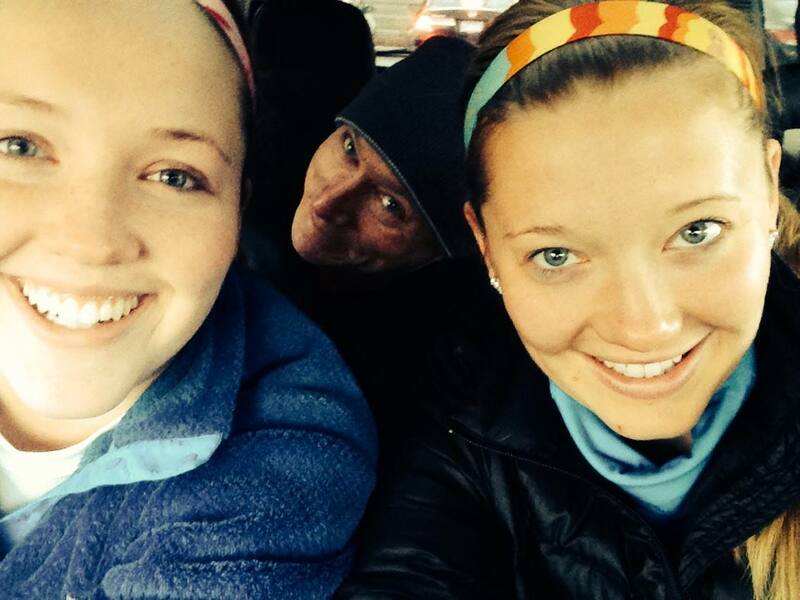 This Thanksgiving the Hurley family participated in our third annual Turkey Trot. We started this tradition in 2011. No matter what they tell you my family LOVES waking up at 6am to drive to the Ridgewood shopping center and trot with me! The first year we participated my sister, brother and I ran while my dad was the key holder/photographer. 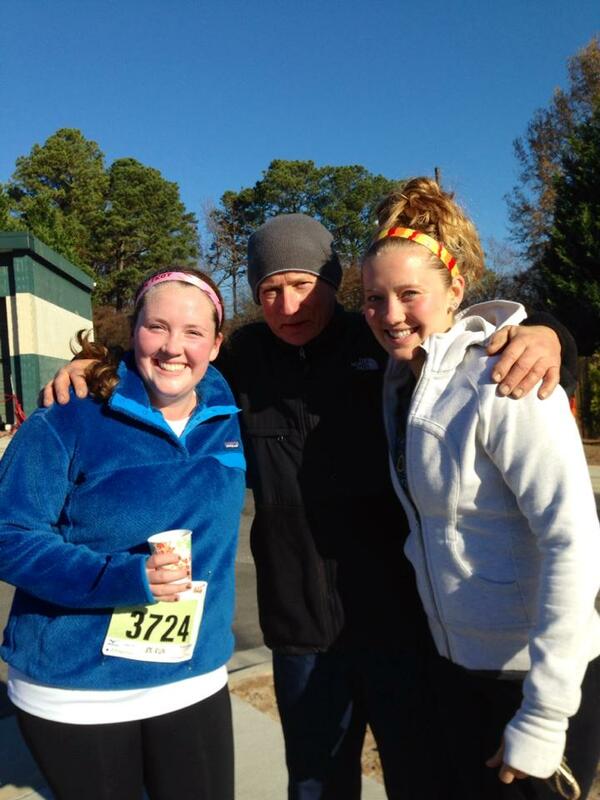 In 2012 and this year, myself, my sister and my dad ran. We (I) love this Turkey Trot in particular because it is an 8k (which in my mind, justifies my Thanksgiving feast wayyyy more than a 5k would) and because it benefits the MS Society. My Gramps (my dad’s dad) has had MS for almost 40 years and it is so powerful to wake up on Thanksgiving and run for him. It really puts it into perspective how truly lucky I am to be able to run. I have never really been a strong 5k-10k runner but it is still fun to get out there and get in some miles before feasting and football. I am determined to win my age group when I am 24, but for now I am always just having fun! In 2011 I had just started my distance running career and had run just two halves so far that year I ran around 48:00 minutes. I wouldn’t have remembered my time if I hadn’t I looked back in my Garmin archives. Last year, I had recently qualified for Boston and decided to run the Wallace Wade Stadium stairs & bleachers just two days before. Holy calves, batman! I ran a 37:08 and I was pleased. This year, I steered clear of the stairs. I ran a 35:57, which was awesome, I felt great! I ran my first two miles sub 7:00 and after that hovered around 7:15. Looking back I kind of wish I had pushed myself a bit harder. I pulled back after my first mile was a little faster than I wanted it to be, but I think I could’ve held that pace. I am usually scared I will crash and burn in shorter distance races (I don’t have much experience with 8k & 10k races) so I don’t push myself and than always wish I had. One of my goals while training for Boston 2014 is to throw some shorter races in the mix and see if I can really challenge myself to run the times I know I am capable of in 8 and 10k races. All in all, I was super pleased that I did better than last year and that I didn’t feel like I was going to die at the end. Post race I was under strict instructions to finish fast and then get everyone bagels…check!